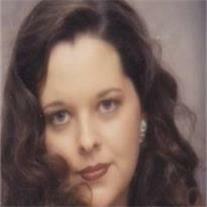 Karey Rachel Sawyer, 31 passed away November 13, 2010 in Mesa, AZ. She was born April 30, 1979 in Phoenix. She was preceded in death by her mother Eva Sawyer. Those who remain to miss her are her son Izaic, step-son Isaiah, best friend Fidel, father and step-mother Norman and Alicegean Sawyer, 3 sisters, 6 brothers, many aunts, uncles, nieces, nephews, cousins and close friends. Memorial services are Friday, November 19, 2010 at 11 AM at Bunker’s Garden Chapel, 33 N. Centennial Way in Mesa.